These walking tours will show you historic architecture, from pre-revolutionary houses to stunning Greek Revivals and Victorians from the mid-19th century to a Powder House from the War of 1812 era. 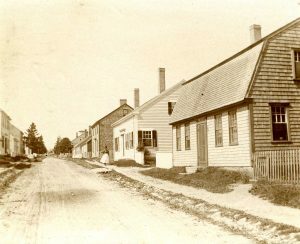 But more than houses, it’s a walk through history, with stories such as the Westport “pauper” who became the richest man in New Bedford, and the restaurant that was swept away in the 1954 hurricane with the bartender still inside. It’s educational, it’s fun, and it’s free!